22 May 2018, Tel Aviv – PwC has launched a global Cybersecurity Centre of Excellence for critical infrastructure protection and Industrial Control Systems (ICS) & Operations Technology (OT) security in Israel – dedicated to helping governments and multi-national industrial companies around the world manage this critical and complex part of the cybersecurity landscape. With a highly experienced team of national-level cybersecurity professionals and state-of-the-art methodologies from across the PwC network, the new centre provides a comprehensive, end-to-end cybersecurity framework – from national cyber strategy for critical infrastructure protection; through to regulation; design and development of national CERTs and sectorial Hybrid-SOCs; to securing the ICS/SCADA networks of industrial facilities. As part of the Centre of Excellence, a unique Cyber Security Experience Centre (CSEC) is being built in Beer Sheva, Israel. The CSEC – considered the first of its kind in the world – simulates an integrated national critical infrastructure ecosystem, featuring small-scale kinetic modules of all typical critical infrastructure facilities, all connected to real-life PLCs and ICS/SCADA networks, operating within a fully integrated cybersecurity framework. In today’s environment, where cyber threats are on the rise, digital business models are evolving rapidly, and organisations are increasingly dependent on computerised industrial control systems, cybersecurity plays a more important role than ever. From national critical infrastructure through to healthcare, pharmaceuticals, smart cities, food production, automotive, and the rise of the Internet of Things (IoT) and the Industrial Internet of Things (I-IoT), strategies are evolving as innovative new solutions are introduced to the market, and governments and multi-national companies are continuously looking for the best way to maintain functional and business continuity while protecting privacy and confidentiality. 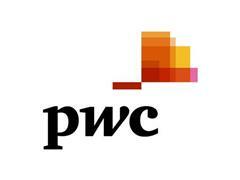 The unique location of the new centre allows PwC to tap into the bustling technology innovation ecosystem in Israel, and continuously identify game-changing cybersecurity technologies that could be integrated into PwC's end-to-end cybersecurity framework.